Lin Jiang was born in Shanghai, China in 1986 and moved to Australia at the age of 5. 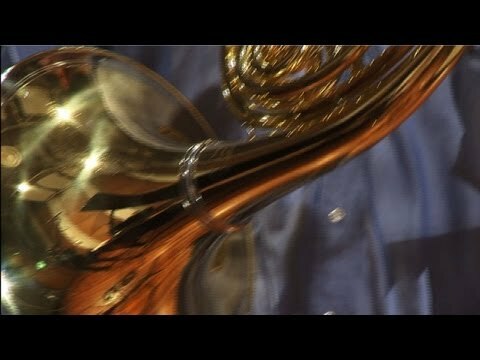 He started playing French Horn at the age of 10 and is now one of the world’s most sought after horn soloists. He studied and won scholarships at Scotch College, Melbourne, the University of Melbourne and the Victorian College of the Arts. As soloist Lin has appeared with the Melbourne Symphony Orchestra, the Sydney Symphony Orchestra, the Malaysian Philharmonic Orchestra, the West Australian Symphony Orchestra, the Tasmanian Symphony Orchestra, Orchestra Victoria, and the University of Melbourne Symphony Orchestra. He debuted with the Hong Kong Philharmonic in 2009 under the baton of Edo de Waart. In 2008 he released Encore My Good Sir a CD of virtuoso showpieces for the Melba label. 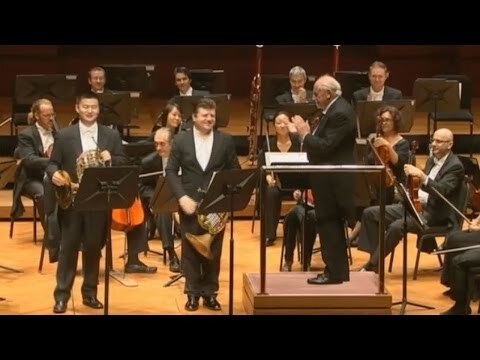 At the age of twenty-one he became principal horn with the Malaysian Philharmonic Orchestra, making him the youngest person in the history of the orchestra to have won a principal position. 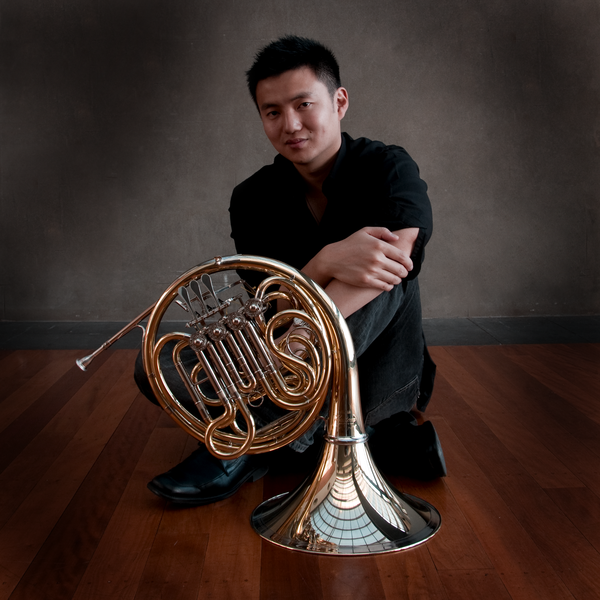 He is currently principal horn with the Hong Kong Philharmonic, and has performed extensively throughout the Asia Pacific region with orchestras including the Australian Chamber Orchestra, the Melbourne Symphony and the Asia Philharmonic. He has worked with renowned conductors including Riccardo Muti, Fabio Luisi, Myung-Whun Chung and Barry Tuckwell. 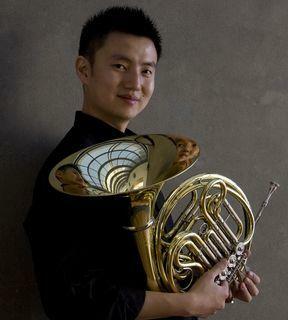 Lin Jiang is the recipient of many major prizes and scholarships including the Barry Tuckwell Brass Prize at the Melbourne International Festival of Brass, 2004,and prizes at the 2008 Jeju International Brass Competition, the 2008 Italian International Horn Competition, and sponsorship from Yamaha Australia as part of the Australian Chamber Brass Ensemble. Lin Jiang was also a finalist in the prestigious Freedman Fellowship program. 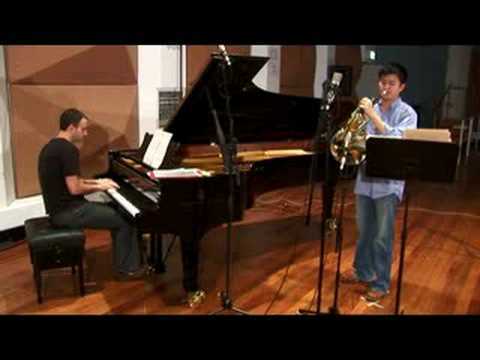 Lin Jiang (horn) and Benjamin Martin (piano) perform the finale from Esa-Pekka Salonen's "Horn Music I"
Lin Jiang (horn) and Benjamin Martin (piano) perform Marais' Le Basque in Dennis Brain's famous arrangement. From the Melba Recordings CD "Encore My Good Sir" (MR 301116). Recorded at the ABC Southbank studios, Melbourne. Barry Tuckwell, Grand Master of the French horn, has been in Kuala Lumpur conducting the Malaysian Philharmonic Orchestra. Two outstanding horn virtuosi, Lin Jiang and Radek Baborák , offer their insights into working with Barry Tuckwell and the huge impact he had on them during rehearsals.